M Basel Ghattas submits resignation letter as part of plea bargain, will be replaced as MK within 48 hours. 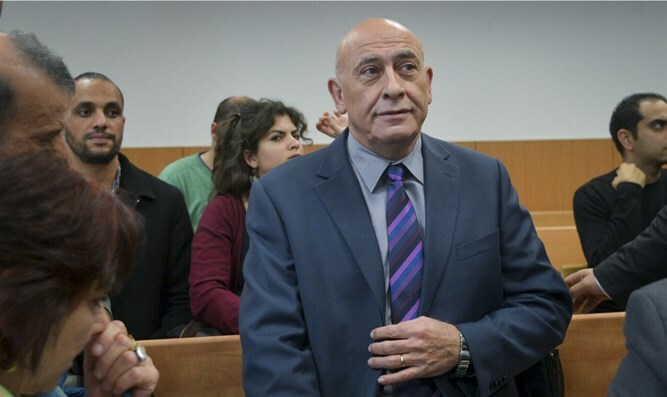 MK Basel Ghattas (Joint Arab List) on Sunday morning submitting his resignation letter to Knesset Speaker Yuli Edelstein (Likud), as part of a plea bargain after an amended indictment was submitted. Ghattas' resignation will go into effect in 48 hours. His replacement will be person ranked just below him on the Joint Arab List, Jamea Azberja. The attorney's office on Friday submitted an indictment to the Be'er Sheva District Court, and announced a plea bargain with Ghattas. The indictment attributes to Ghattas the smuggling of cell phones into jail, aiding terror activity, smuggling documents while bypassing prison authorities, and breach of trust by a public official. Ghattas signed a plea bargain which requests the court to reduce his prison sentence to two years, and place him on probation for an as yet undetermined period of time. The plea bargain also required Ghattas to submit his resignation immediately, which he did on Sunday morning. Several MKs criticized Ghattas' sentence as being too light, since Ghattas was involved in terrorist activities. "My actions stemmed from motivations of personal conscience, and humanitarian motivations towards the prisoners. I take full responsibility for what I did," Ghattas said on Thursday. "From the moment I left jail in Deceember and until now, I was the victim of vicious attacks and incitement, as well a racism. These included spreading lies within the police forces, and attempts to pin severe security crimes on me. "Israeli media helped the lynch in the field court, and the government crossed several red lines. And all because I am an Arab MK. For the first time, the government stripped an MK of his immunity. I was immediately arrested for a period of five days, during which I was not interrogated at all."